I love Facebook…you never know what (or who) it’s going to lead you to. In the process of commenting on a post and Brenda Libby commenting as well, I decided to send her a message asking about a CD. “Crazy” hadn’t been out long. She sent it to me and I fell in love with it! The thing that impressed me most is that Brenda wrote every song on the CD. I think that’s pretty cool…coming from someone who couldn’t write 2 lines of a song. Then when I listened to it, I was more impressed. They are wonderful songs but her voice and presentation brings the music to life. My two favorites are “Fire dances ‘Cross The Skies” and “J Bar H Rodeo” but I like them all. 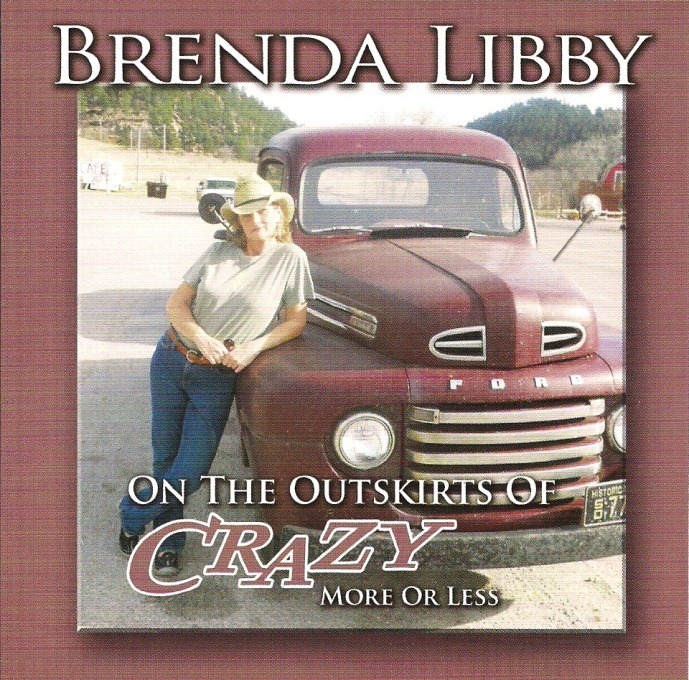 “Crazy, More Or Less” is wonderful…she just puts you in the song. And on and on…there is not a cut that I don’t like. After I got the CD and played a couple of cuts on my show Brenda joined me on the show for a chat. It was fun! She shared with us, the stories behind the songs and a little history behind Brenda Libby. She has been in the music business for many years, sung with numerous folks in numerous places, has lost her voice following surgery and survives! Just a neat gal who is “addicted to words and music.” For more information, log on to http://brendalibbymusic.com. You can also buy “On The Outskirts Of Crazy More Or Less” while you’re there. You won’t be disappointed!